Roy Boys fried chicken. Photo courtesy Roys Boys. Fried chicken and oyster spot Roy Boys has gotten off to a controversial start for murals depicting famous rappers with chicken parts. The Shaw restaurant initially featured one image of Tupac, Snoop Dogg, Dr. Dre, and Suge Knight with beaks and another of the Notorious B.I.G. with a feathered head. In response, the owners have removed the murals and replaced them with images of the hip-hop artists minus any animal parts. They’re hoping to put the controversy behind them when they open on Feb. 15. Other artwork shows celebrities eating fried chicken. Photo courtesy Roy Boys. Roy Boys will offer a traditional fried chicken as well as a Nashville hot version. The birds come as part of a platter with sides of “drunken” mac-and-cheese and waffle fries or in one of five sandwiches. The sandwich names are riffs on hip-hop songs like “Drop It Like It’s Hot” (with Nashville hot chicken) or “In Da Club” (a fried chicken club). Oysters on the half shell. Photo courtesy Roy Boys. 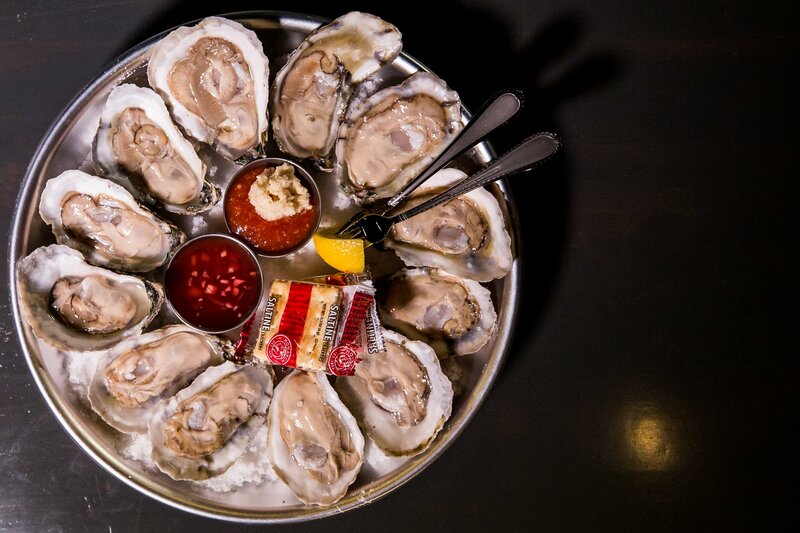 The menu also includes four types of oysters on the half shell as well as barbecued oysters and oysters Rockefeller. 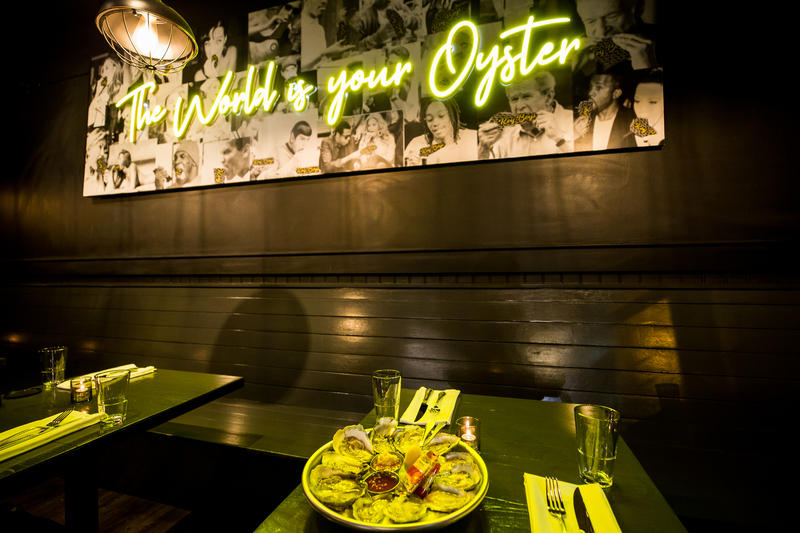 Parker says the idea was to combine a “casual, get-your-hands-dirty” food like fried chicken with something “traditionally thought of as a delicacy” such as oysters. 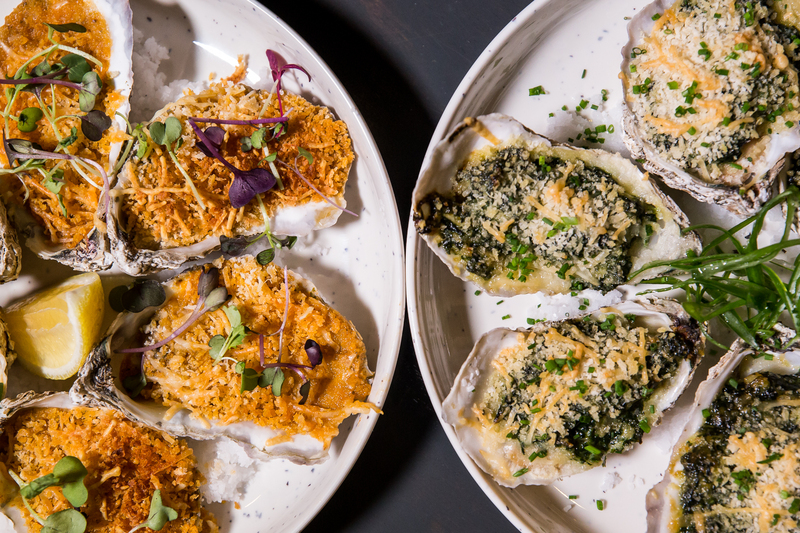 Barbecued oysters and oysters Rockefeller. Photo by Roy Boys. Hushpuppies, a shrimp po’ boy, fried pickles and green tomatoes, plus a handful of salads round out the menu. The only dessert? Homemade versions of Choco Tacos (ice cream filled dessert tacos). Look for three or four flavors at any given time with rotating toppings such as Lucky Charms, chocolate-covered bacon, or bits of fried chicken skin. Order bloody Marys all day, every day. Photo courtesy Roy Boys. Bartender Frank Mills, an alum of Jack Rose Dining Saloon, is behind the cocktails, which include a martini with oyster brine and a beet-vodka drink called “Black Excellence” with activated charcoal. 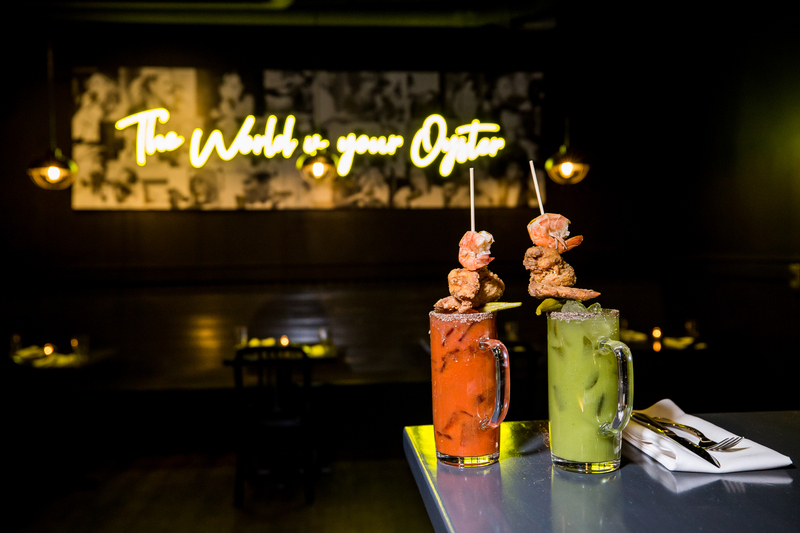 Red or green bloody Marys will be available all day with garnish options such as pickled okra or chicken wing skewers. Eventually, Roy Boys will open a walk-up window that serves a limited menu of fried chicken buckets and sandwiches until 5 AM on weekends. Roy Boys. 2108 8th St., NW. Open at 4 PM. Stay tuned for lunch and brunch.